Please note that the itineraries outlined here for a three day tour are suggestions only. We are always happy to create a custom itinerary for you or your group. Please let Malcolm know if there is anything you would like to see that isn’t included on the suggested itinerary. Please click this link for our D Day Tour Prices page. Our three-day tour combines a quality guided tour of D-Day and the Battle of Normandy with a relaxing short holiday. 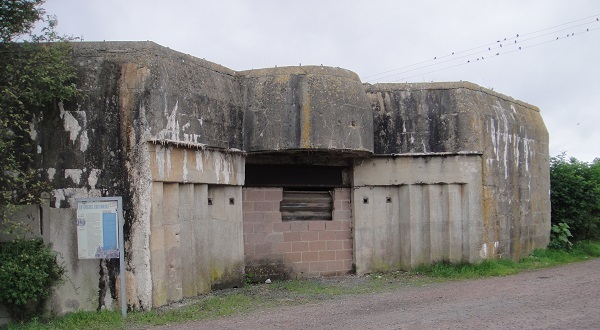 Our friendly personal service, beautiful gite accommodation and delicious home cooked cuisine make this an ideal tour for small parties of up to six people who want to really find out more about what happened in the early hours and days of Operation Overlord. Although nearly 70 years have passed since D Day and the Normandy countryside has changed with the times, walking the ground is still the best way to understand the battlefields and the strategies employed. You can see the terrain for yourself and judge the sight-lines, the vantage points and the targets over which such fierce battles were fought. Our guides will help to recreate the difficulties faced by the Allies in mounting the largest sea-borne invasion in history. Conversely we shall explain how for ten weeks the German Army forced the Allies’ advance to a snail’s pace advance before they were finally driven back and defeated. Over the three days you will visit the significant sites of the D-Day battles. The major sites, like the Pegasus Bridge, St Mere Eglise, Omaha and Utah Beaches have excellent museums. Some sites still have the original concrete relics of Hitler’s Atlantic Wall which in some cases are well preserved. Others are now simply fields with a marker or memorial. At all of the sites your will visit will be supported by an explanatory talk to provide you with the background information to understand the action which took place. A section of Gold Beach as it is today. Note the small information signs in the foreground. Many people who book our three-day tours choose to base themselves at our beautiful gites in brittany, where our warm, informal welcoming atmosphere offers a complete contrast to a hotel environment. We have two very comfortable gites /cottages and a studio flat, swimming pool and a games room. The three-bedroom gite sleeps up to 8 people, the two-bedroom gite sleeps 5 and the studio apartment is ideal for an individual or couple. We offer Bed & Breakfast accommodation with the option of an evening meal. Delicious homemade picnic lunches are available during the three days of your tour. During the evenings after dinner, we like to hold discussions on the strategy and tactics of the campaign. A particular highlight is our presentation on Infantry Weapons and Tactics. The informal nature of these talks encourages our guests to ask any questions they may have about the Normandy Campaign. Whilst we pride ourselves on the bespoke nature of our tours, each one being tailor made to suit our guests, we would like to present a sample of the type of itinerary that’s possible on a three day tour. Please note that this itinerary is just a sample. we are always happy to modify tours or to build a particular tour from scratch if you want to concentrate on a specific aspect of the D Day landings or the battles that ensued. The famous bridge across the Orne Canal at Benouville captured by a daring glider assault in the early hours of D-Day. We follow a visit to the bridge by taking coffee at The Café Gondree before visiting the Memorial Pegasus Museum. The silencing of the German battery at Merville in an improvised attack by an ad-hoc force of paratroopers from 9th Battalion, The Parachute Regiment is a story of outstanding courage and leadership. The reality of war and conflict should never be forgotten. It is always very humbling to visit a war cemetery where we pay our respects to the young men who lost their lives in war. View the defences on Sword Beach and imagine the bravery of the men who had to attack and capture it. The British advance on Caen was significantly delayed by this well-disguised and strongly defended underground complex. The Canadian landing at Bernieres-sur-Mer. 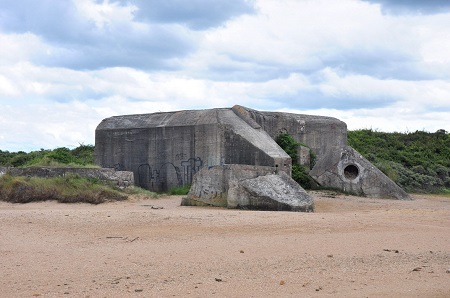 The original sea wall, concrete bunkers, machine gun and mortar emplacements which inflicted heavy casualties on The Queens Own Rifles of Canada as they came ashore still remain. Sgt Major Stanley Hollis, D Company, The Green Howards, was the only British & Commonwealth Soldier to win the Victoria Cross on D-Day. Hollis landed with 50th Infantry Division on King Sector of Gold Beach at Ver-sur-Mer. 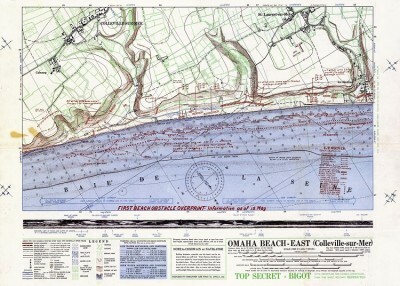 It was at Omaha Beach that the Allies found the strongest German defences on D-Day, where they took their heaviest casualties and where they came closest to defeat. The strategically important market town stands on the main highway to Cherbourg. It was a key objective for U.S. 82nd Airborne Division. The museum at St Mere Eglise is a corner stone in understanding the role of U.S. Airborne forces during the Battle of Normandy. Following the success of the T.V. Drama ‘Band of Brothers’, Brecourt Manor is a popular site to visit. We shall explain what really happened here. U.S. 4th Infantry Division landed on Utah Beach. Spearheading U.S. VII Corps drive to isolate the Cotentin peninsula and capture the important port of Cherbourg. Tasked with neutralising the German gun battery at the Point du Hoc, D, E and F companies of the U.S. 2nd Ranger Battalion under the command of Lt. Colonel James Rudder climbed the 100-foot high cliffs of the Pointe to accomplish their mission.